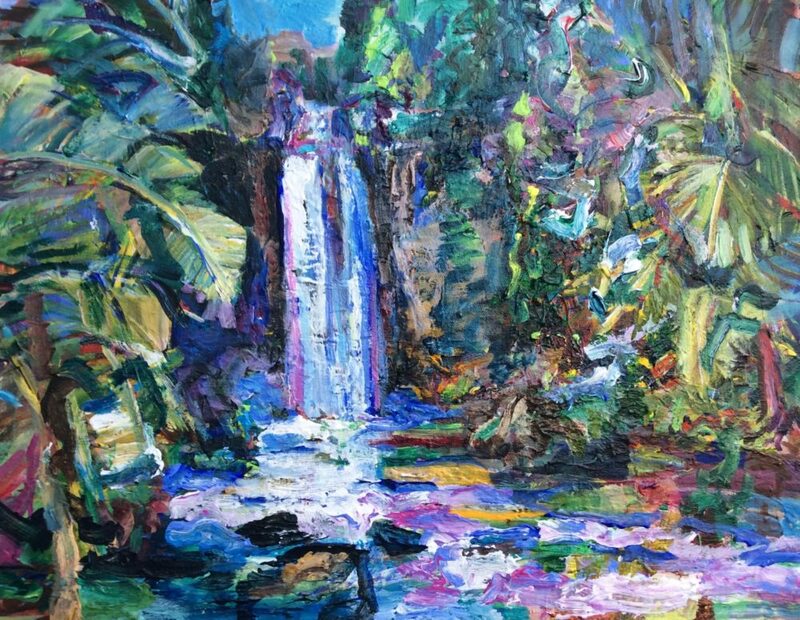 Get the results that you want from Acrylic Paints and together with Peggy Stanton and other artists, receive the instruction and inspiration you need to do your best work ever on canvas! Margaret “Peggy” Stanton leads an ongoing series of three hour Acrylic Painting Sessions for artists of all levels. Learn about Peggy’s Perfect Pallet and paint with gorgeous, harmonious color every time! Begin your first session with a 16″x 20″ canvas and a subject or place that is dear to your heart! Margaret helps artists to heighten and accentuate their own unique vision while guiding the individual’s artistic journey. With important tips on Color and Acrylic Paints and Mediums, artists can create a painting on canvas using a fun, intuitive painting process. She guides artists on “painterly” ways to put on the finishing strokes or even plan a large project. Stanton also offers individual instruction for artists during each session. No previous experience needed. 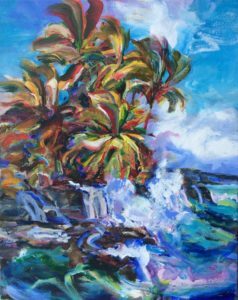 “Painting with Peggy” Acrylic Painting Class will be held at Volcano Art Center N‘iaulani Campus on Monday, January 14, from 12 – 3pm. Cost is $20/$15 for VAC Members. We will set, start and finish our paintings during this fun and informative three hour session. Start with a 16″ x 20″ canvas or so. We will paint a colorful underpainting, then Peggy will show you how to create the perfect pallet to work with. 1.) Bring your Acrylic Paints. (If you are buying new paints try the Soft Acrylics. Soft Acrylics have as much pigment as heavy body acrylics, they mix easily and they can be thicken up with Clear medium when needed) While Painting with Peggy you will learn about colors; their properties and their complimentary counter parts. Below is a list of colors that you can use. Please get professional grade paints. 8.) Chair we have, but bring one that you like if you want to. 9.) Please think about a place or a subject that is meaningful to you, and bring a picture of it to refer to as you create your painting with Peggy. Arrive a little early to get set up, because right away everyone will coat their canvas with an underpainting. While it dries, Peggy will guide us in setting up the perfect pallet of colors and give instructions on how to develop your painting with great color harmony and value. Personal instruction is available during this three hour class and painting session. Any painting that you are having trouble with, feel free to bring to the class. Peggy will help you to recognize its strengths and provide tips on how to put on the final touches. Together as a group we will learn how to create your next best masterpiece, inspire each other to try new things with a better understanding of color and composition and encourage those who want to exhibit their art in shows and on the web.